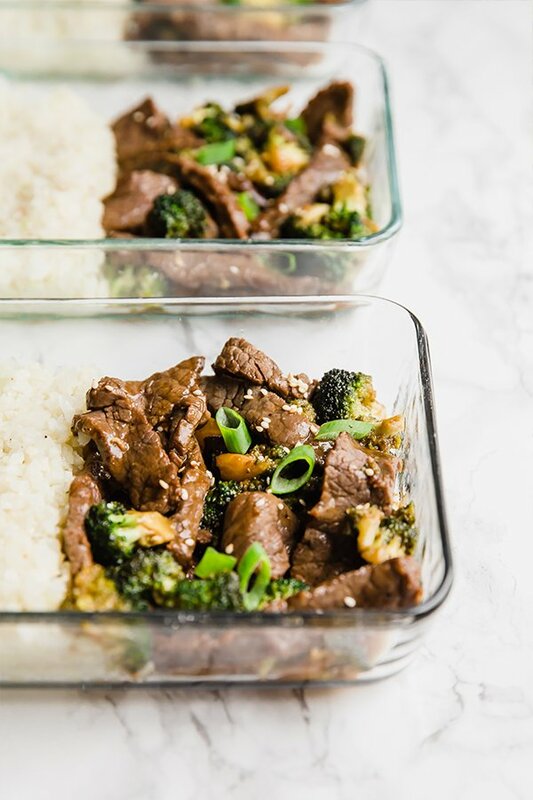 This beef and broccoli meal prep is an easy meal prep option that’s made in one pan! It has tons of flavor and is a satiating lunch or dinner option to keep you nourished and happy. Seriously, you won’t be jealous of any takeout that’s brought into the office… you’ll have something much tastier and healthier! Don’t like meal prepping? 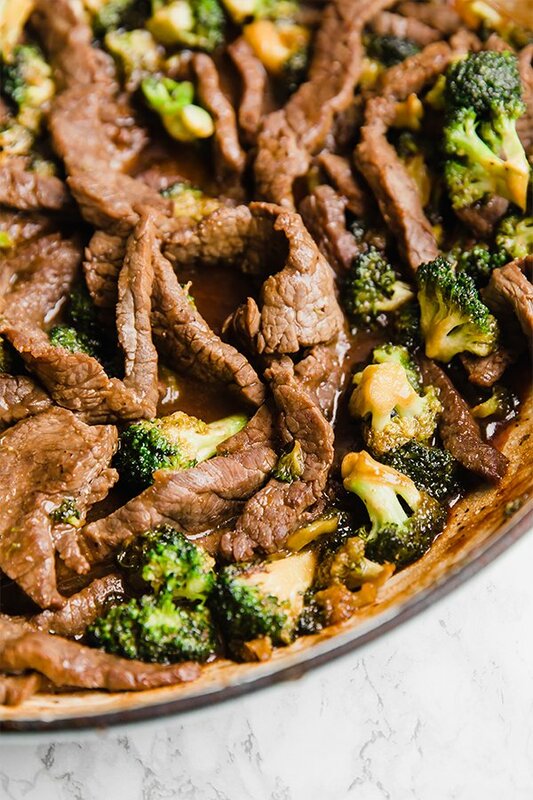 This recipe is still just as good as an easy one pan meal for a fast weeknight dinner! It’s a recent favorite for my husband and me. I love using flank steak for meals like this. It is nice and tender and easy to work with. Skirt steak will likely work as well, but I recommend flank. 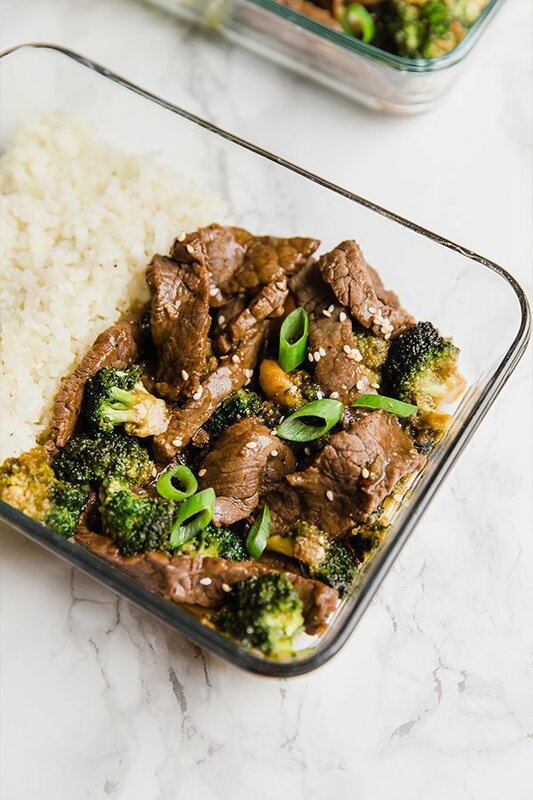 Alternatively, a lot of grocery stores sell pre-cut stir fry beef at the butchers counter which is a nice short cut that works well for this dish. And I seriously love a short cut! You’ll use avocado oil for cooking the whole recipe, and the avocado, coconut aminos, and lime together for marinating the steak. It seals in a lot of flavors and gives it a light hint of acid from the lime, and soy-sauce flavor from the aminos. You can also add in some coconut sugar if desired, but leave this out if you’re on a whole30. Grab a big head of broccoli (or some smaller ones) and get lots of extra greens in this dish. Of course, you can use regular rice if you tolerate it, but cauliflower rice keeps this paleo and whole30. You can buy cauliflower pre-riced, or use a food processor to rice it.